Tom has over 30 years of progressive experience in the roles of CFO, COO, and CEO, primarily in the manufacturing/distribution industry. 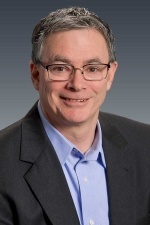 An innovative thinker, Tom can provide hands-on review of operational and financial data, identify opportunities to improve both revenue and profit, and implement the changes to achieve real results. Tom began his career in public accounting, and then became a controller for a small manufacturer. Over the course of his professional life Tom has been responsible for accounting department reorganization and improvement, short and long term financial and business planning, comprehensive budgeting and cash flow modeling, operational and financial reporting, banking and treasury, acquisitions or dispositions of small and medium business, IT implementation and management, optimizing multi-site operations, and managing foreign subsidiaries. In addition to his financial skills, Tom has extensive management experience and skills including staff team building, management communication, and board and investor relations. 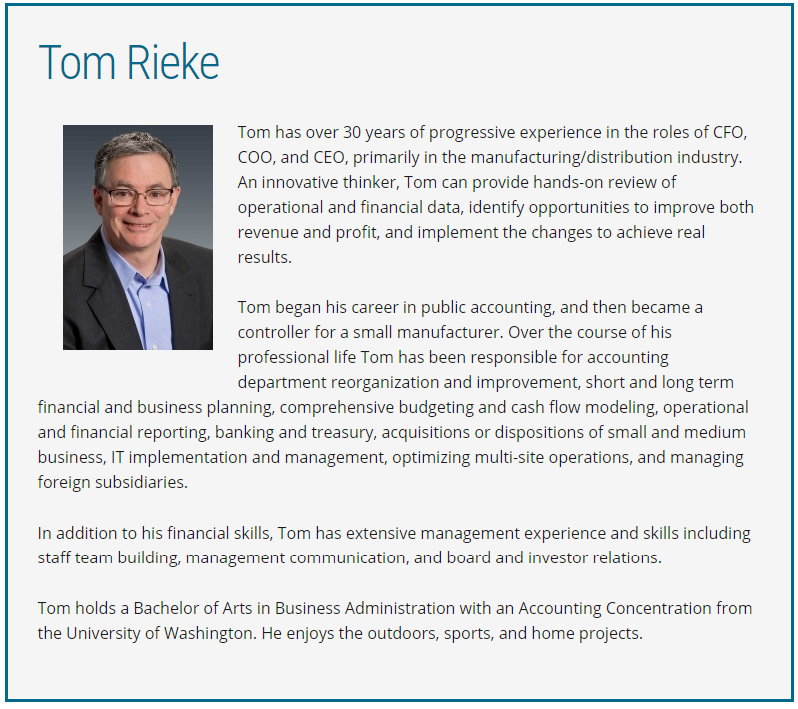 Tom holds a Bachelor of Arts in Business Administration with an Accounting Concentration from the University of Washington. He enjoys the outdoors, sports, and home projects.